Born on August 14, 1994, Artur Jorge's age of 24 underlies his team's mean. Artur Jorge is currently third in group Gr. 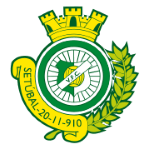 B of League Cup (Portugal) and eleventh in Primeira Liga (Portugal) with his team Vitoria Setubal. In terms of preferred feet, he is a right footer, like 82% of Vitoria Setubal. He was used in 16 of the matches in the present term. Back in 2016, Portuguese defender Artur Jorge's contract with Vitoria Setubal (Portugal), the club he is still a member of, took effect. Standing 1.86 meter high, he is larger, when looking at the average height in his team. Just four days ago he played his latest match. Ever since Artur Jorge became a professional, he has been committed to overall six clubs. He played for SC Freamunde, Royal Mouscron, Sporting Braga, Sporting Braga B and Fotbal Club FCSB before ending up in Vitoria Setubal. He is playing as defender in Vitoria Setubal together with Gustavo Cascardo, Bruno Pires, Nuno Pinto, Mano, Sandro Sakho, Baba Fernandes, Silvio and Vasco Fernandes. While being substituted more out than in this season, the contrary occured the year before. However, Artur Jorge shows five out and nine in substitutions in total. 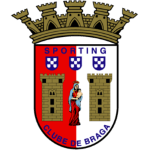 Besides Vitoria Setubal, Artur Jorge is at Sporting Braga's command, too. His jersey displays the number 4. 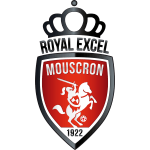 The briefest time his spent on a team counts merely 31 days in Royal Mouscron (Belgium). Two years and 7 months was the maximum period Artur Jorge ever played in a team, which is his latest one. His best season was Segunda Liga 15/16 (Portugal), because in this year he had his highest success in terms of both match presence and goals. Already 23 times a card was given to him in his tenure. Artur Jorge's squad lost 67% (100% home) in League Cup and concluded in a tie in 50% (60% home) in Primeira Liga. The highest win streak of the last 5 matches happened in Primeira Liga with a count of 2. 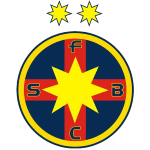 He has one own goals in his CV, which happened during a Liga I 17/18 (Romania) match with Fotbal Club FCSB. Considering he weighs around 171.96lb, Artur Jorge is approximately 9lb heavier than the average player of Vitoria Setubal.